A new large-scale study involving more than 160 international researchers from 17 countries—members of the Early Growth Genetics (EGG) Consortium—and led by investigators from University of Exeter Medical School have identified key genetic differences that may help explain why some babies are born bigger or smaller than others. The new research, published recently in Nature through an article entitled ”Genome-wide associations for birth weight and correlations with adult disease,” also reveals how genetic differences provide an important link between an individual's early growth and their chances of developing conditions such as type 2 diabetes or heart disease in later life. The research team concluded that a substantial proportion (roughly one-sixth) of the variation in birth weight is decided by genetic differences between babies. This genetic variation seems to have an even greater influence on birthweight than what has been explained by environmental factors already known to impact birthweight, such as the mother smoking during pregnancy or her body mass index (a measure of obesity) before pregnancy starts. 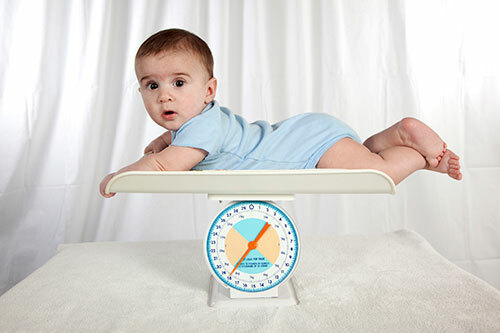 It has been known for some time that babies whose birthweight is well below, or well above, average have a markedly increased risk of diabetes many decades later. Until now, many researchers assumed that this link reflects the long-term impact of the nutritional environment in which the fetus develops—that events in early life can “set up” an individual's body in ways that make them more prone to disease in later life. In this new study, the researchers uncovered a substantial overlap in the genetic regions linked to differences in birth weight and those that are connected to a higher risk of developing diabetes or heart disease. Much of this overlap involves the baby's genetic profile, but the team found that the mother's genes also played a significant role in influencing her baby's birth weight, most likely through the ways in which they alter the baby's environment during pregnancy. The researchers analyzed the genetic differences throughout the genomes of nearly 154,000 people from across the world. Almost half of these came from the UK Biobank cohort. By matching the genetic profiles of these people to information on birth weight, the researchers could identify sixty regions of the genome that were clearly driving differences in birthweight. They then analyzed data from previous studies on conditions including diabetes and heart disease and found that many of the same genomic regions were implicated.